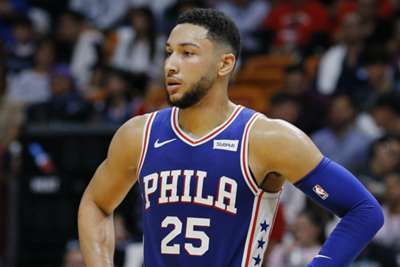 Ben Simmons hit out at the boo-boys after he was the target of the fans' jeers in the Philadelphia 76ers shock loss to the Brooklyn Nets on Saturday. "If you are going to boo, then stay on that side," he said. "That is how you feel. If you are a Sixers fan and going to boo, stay on that side." "I love the fans and I never say anything about them. They show us love. It's understandable. They come in, they pay a lot of money, they want the game to be entertaining. They want to watch us win so I understand why they boo," Embiid said. "But the fact that it's after every single miss, when shots aren't going to fall. Tonight they didn't fall, but for me, I'm fine. I'll play through anything. "But for some guys it's annoying. It can be annoying. 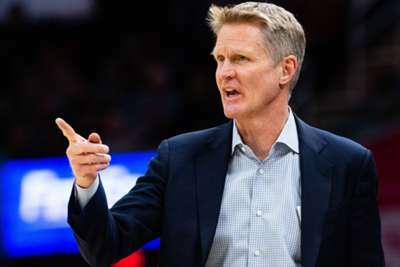 It's like every missed shot, you get booed so you get the next one and it's kind of like, 'should I shoot it or should I not because I'm about to get booed?' I don't know. Some guys are like that. It's hard. I think we all got to do a better job." Jimmy Butler had no qualms with Simmons' comments but can understand the fans' discontent. "He's [Simmons] a grown man," he said. "If that's the way that he feels, that's the way that he feels. "They want to see us win - I want to see us win, too. In the end, I think we just gotta do better. "I guarantee if we're winning, they're not booing, so that's the way to change it." Damian Lillard's game-winning shot on Tuesday was a good one, according to Steve Kerr.